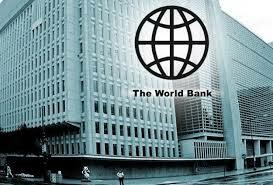 Lagos, Abuja and other cities in Africa will attract more than 170 million people by 2025, the World Bank has predicted. The Global Lead on Territorial Development Solutions and Lead Economist for Urban Development in Africa at the World Bank, Somik Lall, said this while presenting the bank’s report titled: ‘Africa’s Cities – Opening Doors to the World’ at the ongoing conference on urbanisation reporting in Dar es Salaam, Tanzania. Lall said 470 million people currently lived in urban communities across Africa but added that by 2025, urban communities across the continent would attract a population the current size of the population of Nigeria, 170 million people. Thus, he stated that by 2025, the population of urban areas on the African continent would stand at 640 million people, adding that by 2040, more than one billion people would be living in urban communities. He noted that the high growth rate of urban communities across the continent put enormous pressure on the infrastructure, which had not been enough, adding that the rate of growth of the cities was much higher than the rate of economic development. On the proportion of people living in slums across selected cities on the continent, the report stated that 50.2 per cent of people living in Ibadan were in communities that could be described as slums. However, the report showed that the proportion of people living in slums in Ibadan actually declined from 75 per cent in 1971 to 50.2 per cent as of the end of 2014. The report stated, “Many sub-Saharan African cities share three characteristics that constrain economic development and growth. Two appear directly in the cities’ physical structures and spatial form. “They are crowded with people and dwellings; and they are disconnected by a lack of transport and other infrastructure. Finally, and in part because they are disconnected, the cities are costly. Indeed, they are among the costliest cities in the world, both for firms and for households, not least because of their inefficient spatial form. It added that housing, infrastructure and other capital investments were lacking. An underlying cause of crowding, it said, was that African cities were not economically dense or efficient enough to promote economies of scale and attract capital investment.